What one person finds soft another person finds hard. This makes defining mattress firmness difficult, but I’ve put a lot of time into researching and writing this article to make it as clear as possible. And if you’re in a hurry just don’t forget the golden rule – If in doubt go medium or medium-firm these are the two most popular firmnesses and generally comfortable to the majority of people. Like I said before firmness can be subjective, but It can be split into 5 categories easily enough to be used as a rough guide for what yuo’re looking for in firmness. You can go even more specific than that but there isn’t any need to because the differences become to small to notice. So let’s take a look at what those actually mean. Soft – Soft mattresses are squishy, sinky and let you really cosy on into your bed, you sink deep into it feeling a lot of the different layer, but you don’t get much support along your back and joints unless you are very petite. Medium-Soft – Medium soft offers that little bit more resistance so you’re starting to get some bounce back and pressure along you and a little more support than you do from a completely soft mattress. Medium – Medium mattresses are normally pretty comfortable to everyone, a good balance of squishiness and resistance so you get held comfortable without sinking in too deep. Medium-Firm – Starting to get a lot firmer now, much more resistance with a little room for sinking in, generally great support along your back and a comfortable sleep. Firm – Firm mattresses are well.. Firm! Not a lot of sinkage at all and held very much on top of the mattress, not wooden like firmness but you’re very aware of it when you lie in a firm mattress. If that’s helped at all then I’ve got my top picks for the three main categories, just click the appropriate link below. Still not sure what’s right for you? Keep reading. The type of position you sleep in has a lot to do with what firmness you need, whether you’re a back, side or front sleeper. 74% of people sleep on their sides so if you’re one of them you’re not alone! 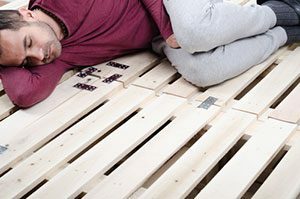 Side sleepers need to let their shoulders sink into the mattress a little more so need a little more give in the mattress. But not so much that they sink in too deep and get uncomfortable. Generally side sleepers want a nice medium mattress. But medium-firm and medium-soft would likely be ok as well. Luckily back sleepers have it easy because when you lie on your back your spine is kept naturally straight so back sleepers can actually sleep comfortably on any firmness of mattress, from soft to firm, it’s just a matter of preference. Front or stomach sleepers are normally in the minority, but don’t worry I’m not going to leave you out. Front sleepers don’t want a lot of sinkage in the bed, because if their bodies sink into deep it will put a big curve in the spine and put pressure on the neck. Which means front sleepers need a medium-firm to a firm mattress to get a good night’s sleep. How Does Weight Come Into It? Again this boils down to The heavier you are the firmer you need because you’ll sink in deeper. Unfortunately I can’t give you exact weights, and it will depend on what height you are, because a heavy but tall person won’t need as firm as a short heavy person. Age definitely has its part to play, particularly when you’re younger. Because kids and teenagers are still growing so getting their mattress right is important. I researched this before for my article on the best kids mattresses and there is a surprising lack of research into it. 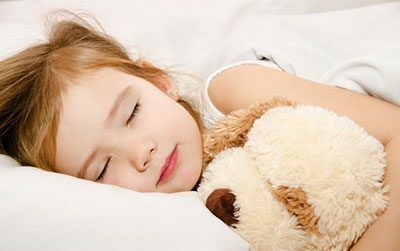 If your child sleeps on their front, don’t get a mattress that’s too soft. Their breathing could be obstructed since they’ll sink into the mattress. A mattress that’s too firm might be hard on their growing bones and make your child uncomfortable. To avoid these problems, stick to a medium mattress. What a teenager needs in their mattress is similar to what a child needs, so again a medium mattress will do fine but they are getting closer to being little adults so you can listen to their needs and what they think will be comfortable for them. Lower back pain is the most common morning ailment from a bad mattress but unfortunately, it’s not just firmness that will sort it, you also need to get the right material on the inside (generally memory foam) I’ve got a full guide to mattresses for back pain here. But generally it’s important to get the right mattress firmness so that your back can get the support it needs. So as a cover all for back and side sleepers, medium-firm is where you want to be, generally. So, you know everything you need to know, now it’s time to make your decision! If you’re a side sleeper keep it medium to let that shoulder sink a little deeper so you can keep your spine aligned. If you’re a back sleeper you’ve got lucky and can pick any firmness you like. And if you’re a stomach sleeper you want to keep it at the firm end to stop your spine curving back on itself. If you’re heavier you need firmer, because you’ll sink in deeper to a mattress compared to a lighter person. So you want to avoid sinking too deep and go for a firmer rating, completely avoid soft mattresses they will not be comfortable for you. If you suffer any lower back pain then you want on the firmer side but just make sure you get the right firmness for you so you get proper support. And remember, if you don’t know then go for a medium or medium-firm, pretty much everyone is comfortable on a medium to medium-firm mattress so it’s a safe bet.